Look at these f'ing knitting needles. These are known as the Cadillac of knitting needles. I was on a wait list for a year, but I have them now and they're so beautiful! 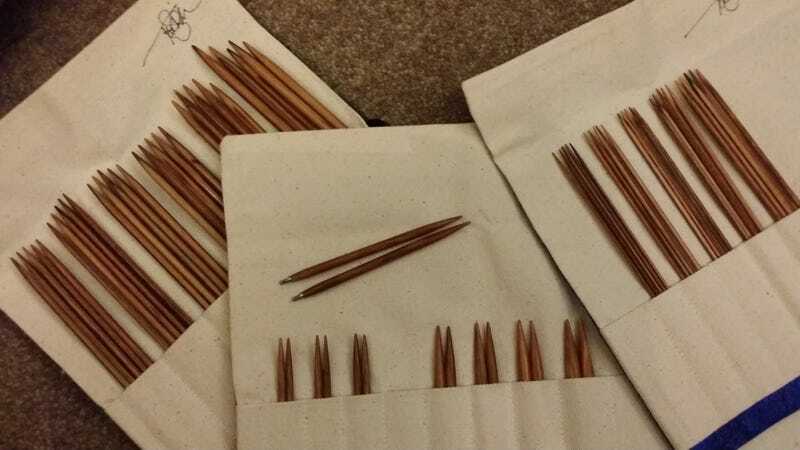 I might sell them though, because for some reason I didn't realise that they come in sizes I don't use much, I accidentally ordered shorter needles, than intended, and I have fallen in love with other needles (Hiya Hiya Sharps for the knitters in the room). Until I decide, I will fondle these tenderly in the moonlight and go for long walks on the beach with them. Ahhh I need a cigarette. Oh wait, I don't smoke. PS Last post of the day, I swear.